Financial Planning: An 8.3 Percent Return On Your Money, Guaranteed for Life? Why Choose Income For Life? Are you an adviser?Join our Team! Retiring Is Easy, Staying Retired Is Difficult. We Help You STAY Retired. PBS NewsHour | Yes, there is a way for older Americans to receive guaranteed lifetime income that, for many of us, is more than three times the current rate on 10-year Treasuries. It is through the purchase of a Single Payment Immediate Annuity (SPIA), perhaps the least-known, best retirement deal on the market today. In finance, the word “annuity” refers to a series of payments made to a person (called the “annuitant”) for life or for a set number of periods. In this post, we refer to a fixed, life annuity, a plain vanilla annuity that will guarantee a set income each month for the rest of your life, no matter how long you live or what dumb mistakes you make along the way. If this guarantee looks familiar, it should, since it is pretty much what we get from Social Security as well as from a traditional “defined benefit” pension — if we are lucky enough to have one. Both are forms of life annuities because both pay until you die. Read the entire PBS article HERE and contact my team for more information. We can help you with all of your retirement income planning needs. 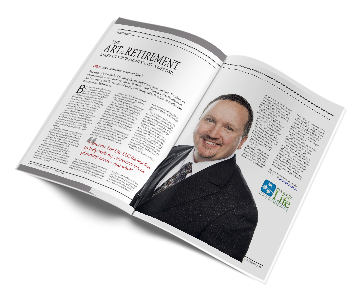 Meet Matt Nelson and the more than 400 back office team members at Income For Life that will be working on your retirement plan and helping you STAY retired! 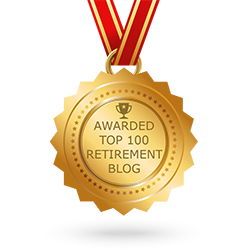 Learn why hundreds of people have chosen Income For Life to plan their Retirement and why we are ranked as the Top Rated National® Retirement Planning Firm. See what our clients are saying about Matt and the over 400 back office team members and certified financial planners at Income For Life.